When we came out from under our rock and stumbled across our friends over at Pitlandia‘s Little Bow Pup shop, we knew we had struck gold. I cannot even tell you how long I have been looking for the perfect doggy tutu, and I discovered that Little Bow Pup had some really awesome ones. I could tell from the online photos that this particular style of theirs was easy to put on and take off and had the exact costume effect I was going for: an extra splash of color and girly-ness without being a whole “to do.” I immediately ordered one for Miss Cash in her favorite girly colors. I like outfits like this for a couple reasons (shocking, I know). One, of course, if for extra adorableness in photos for the blog. But the other is for extra attention while out in public. 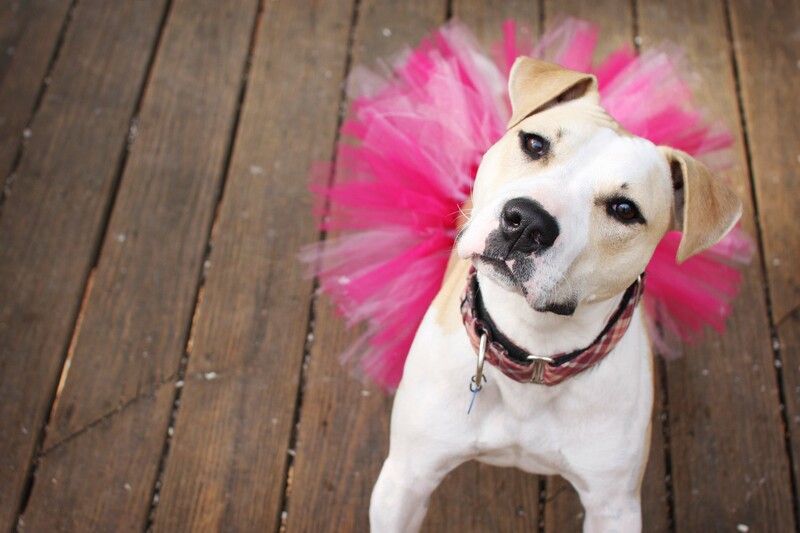 No one – and I mean no one – can resist a dog wearing a tutu! Even just for the sake of strangers realizing she is a girl, the tutu is a fabulous addition to our special outings. Another thing that I really love about this tutu is how it helps children relate to Johnnie. 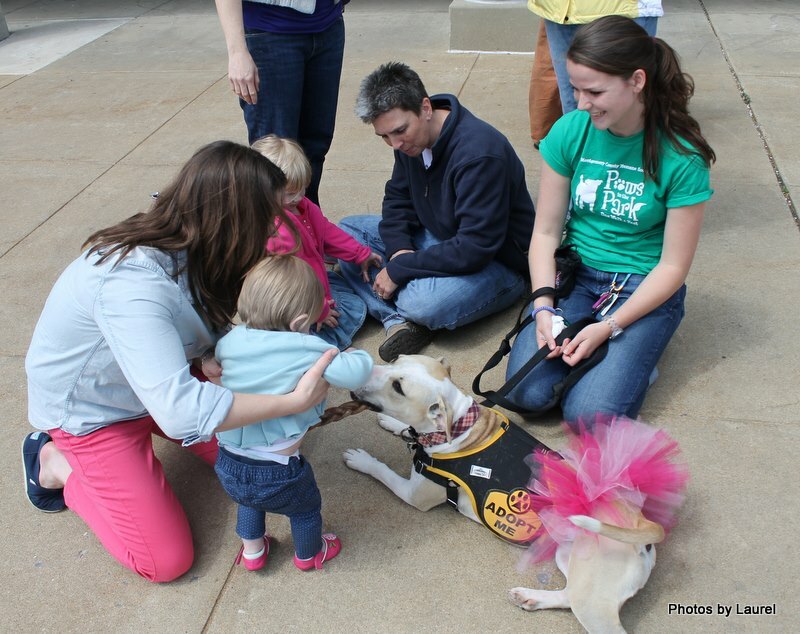 At an adoption event this past weekend, nearly every kid was saw exclaimed, “Look at the doggy wearing a tutu!” They were much more excited to meet Johnnie than any of the other dogs at the event because she was wearing a tutu in a color that often matched their own outfits. We even had one little girl who was pretty fearful of dogs ask to toss Johnnie a treat. Johnnie, lover of all two-leggers, was happy to show off her skills at catching treats in the air to make the nervous girl giggle. So even if the tutu was “a little much” for my poor tomboy of a dog, the response we got was totally worth it, as you can see! So thank you, Little Bow Pup, for the new addition to J’s wardrobe! We love it! 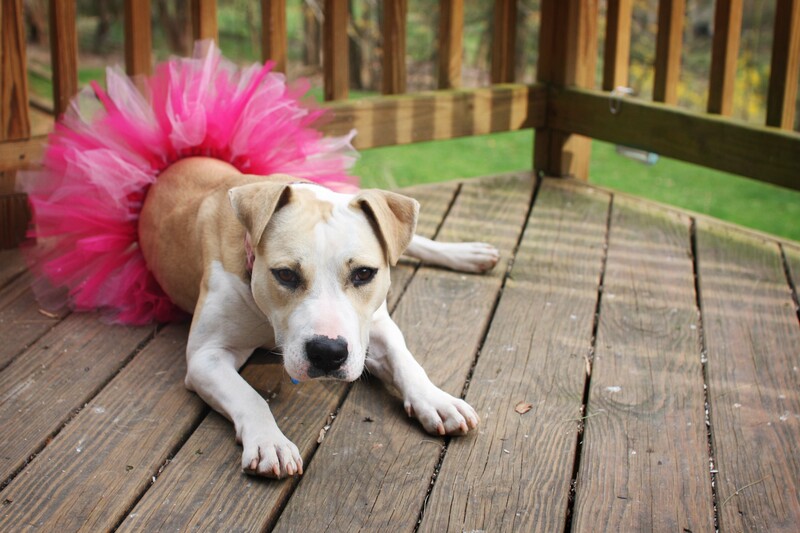 To adopt Johnnie Cash the ballerina-bull, check out her Adopt Me page. 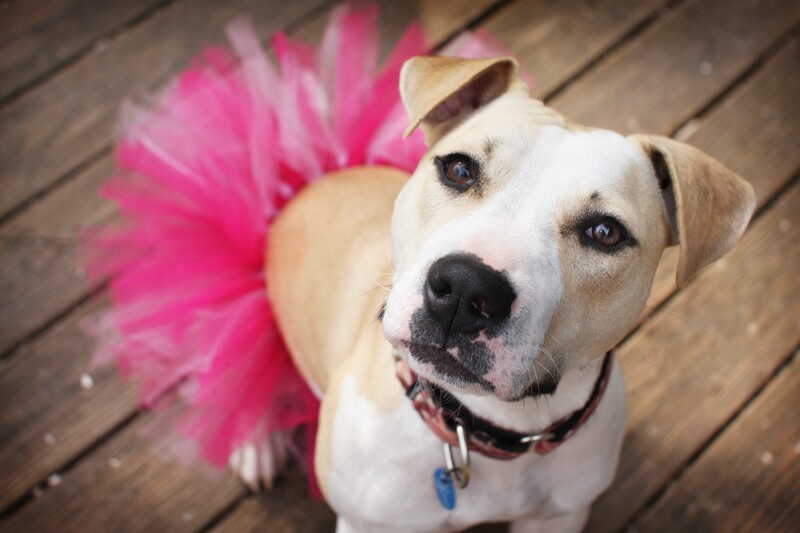 This entry was posted in Dog talk, Johnnie Cash, Photography, Rescue/Humane Society and tagged ballerina dog, dog costumes, dog in tutu, dog wearing costume, kids and pit bulls, little bow pup shop, pit bull in pink, pitlandia, tutu for dogs. Bookmark the permalink. Love it! So proud of Johnnie for those impeccable manners around the two legged puppies. It can be so hard for a pup to remain calm when kids are squealy and excitable themselves! Pure adorableness. How great is she with kiddos, too?! What a beautiful idea. I would love to meet a dog on a tutu. She is so pretty. I’m glad she got to meet people and helped a nervous little girl. I wish there were programs that could have helped me get over my fear of dogs when I was little. Do you think miss cash could be a therapy dog one day? Johnnie rocked that tutu! Looking good, girl! Sorry Foster Mom does things like this to you when I’m not around to stop it Johnnie. You’re very good at putting up with her.